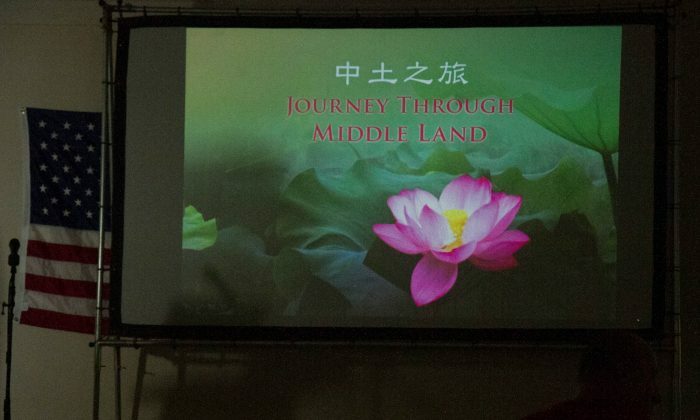 The poster for the event "Journey Through Middle Land", which included a screening of the film "Human Harvest" at the Mamakating Community Center in Mamakating, N.Y. on June 28, 2015. (Holly Kellum/Epoch Times. She had just watched a documentary about forced organ harvesting called “Human Harvest” that exposed a multibillion dollar organ transplant industry built with the blood of prisoners of conscience in China. One doctor in the film described a patient of his who went to China for a kidney transplant. The first pair of kidneys didn’t work and so two more kidneys were brought to him. Those didn’t assimilate well either and another pair were procured. That abundant supply of organs is unheard-of in developed countries, where people wait weeks to years for a donated organ that matches their blood and tissue type. This is why, when the transplant numbers from China starting taking off in 2001, it was a mystery given that China had no effective organ donation system. There would be only one thing more obscene, and that would be if the world turned its back again on it and did not make a concerted effort to stop it. It was no coincidence that the numbers started to climb just a few years after the Chinese Communist Party began a brutal persecution on the meditation and qi gong practice called Falun Gong or Falun Dafa. The government estimated there were over 70 million people practicing Falun Gong when the persecution started in July of 1999, and undercover phone calls by the Organization to Investigate the Persecution of Falun Gong revealed what many had suspected—Falun Gong practitioners were being killed for their organs. “How come it hasn’t been more publicized?” wondered Mickey Maher, also from Wurstboro, who accompanied Murray to the screening. She said she had never heard about the issue before, and neither had Murray or Taylor. While the organ harvesting in China has not received a lot of attention in mainstream media, it has been addressed in the legislative bodies of the United States, Europe, Australia, Taiwan, Canada, and Israel among others. The event was organized by the Falun Dafa Association and Dragon Springs, a community of Falun Gong practitioners in Cuddebackville. The organizers said they planned to organize more events in the community to bring awareness to what is happening to people in China who choose to keep their belief and the persecution of Falun Gong. Bob Fiore, the deputy supervisor for the town of Mamakating compared it to the holocaust.